Don't kid yourself, you know you want to check it out. 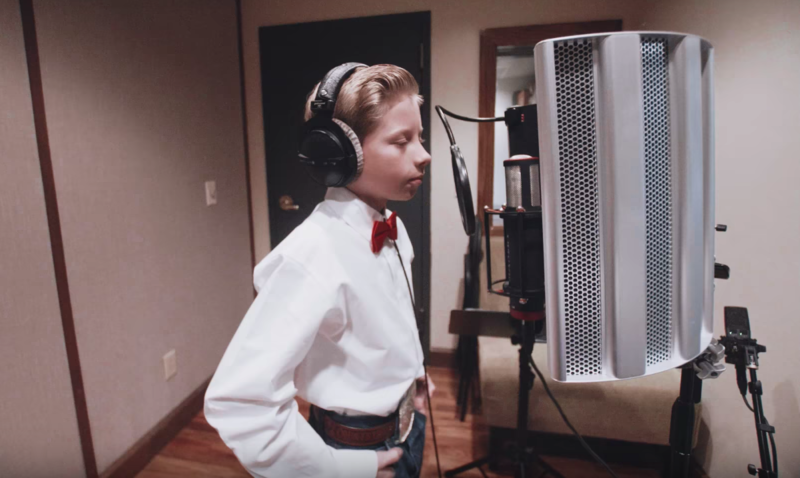 Mason Ramsey, the 11-year-old whose version of a Hank Williams’ song, “Lovesick Blues,” went viral thanks to his rather impressive yodeling skills, and whose Walmart performance been watched millions of times on YouTube, will put out his first album on July 20. Ramsey, also known as the “Yodeling Kid,” is apparently pretty well-known in his hometown of Golconda, Illinois. When he gave the now infamous performance of the Williams classic in a Walmart, he did so because a woman recognized him and asked for a song. Someone got it on video, it went viral, and thanks to his success as a meme, Ramsey may now have a real career in music ahead of him. Or at the very least, a debut album. The yodeling kid in action. Ramsey has dominated Spotify, with his single, “Famous,” becoming the most streamed country song on Spotify in the U.S. in May. He also performed at Coachella, the popular festival in Indio, California, with DJ Whethan. Yodel-ay-hee-how did @masonramsey end up as a viral sensation? But his biggest success (before the release of this album, hopefully), may be in his endurance as a viral meme. No topic or person is off-limits when it comes to meme-ifying Ramsey: not Spongebob, not Prince Harry, not even the great Meryl Streep. And likely directly thanks to that success, Ramsey has a new six-song EP, titled “Famous,” coming out in just a matter of days. The album reportedly includes covers of other Williams songs, including, “Jambalaya (On the Bayou)” and “I Saw the Light,” as well as the “Famous” single. Ramsey will also be opening for Florida Georgia Line at their Las Vegas residency later in 2018, according to the Associated Press. A lot of country performers trying to make it in the industry would love to have that kind of opportunity, but Ramsey lucked out by becoming a viral meme and getting ahead in the game. Not many music hopefuls can say the same. With any luck, the yodeling Walmart kid meme won’t end when Ramsey’s record is released. If anything, it may spawn more perfect yodeling kid memes, and Ramsey will get to ride his wave of viral success as far as it will take him — maybe even to the top of the charts.